West of Compassion Shrine, Felucca. PaxLair was founded on January 19, 1998. 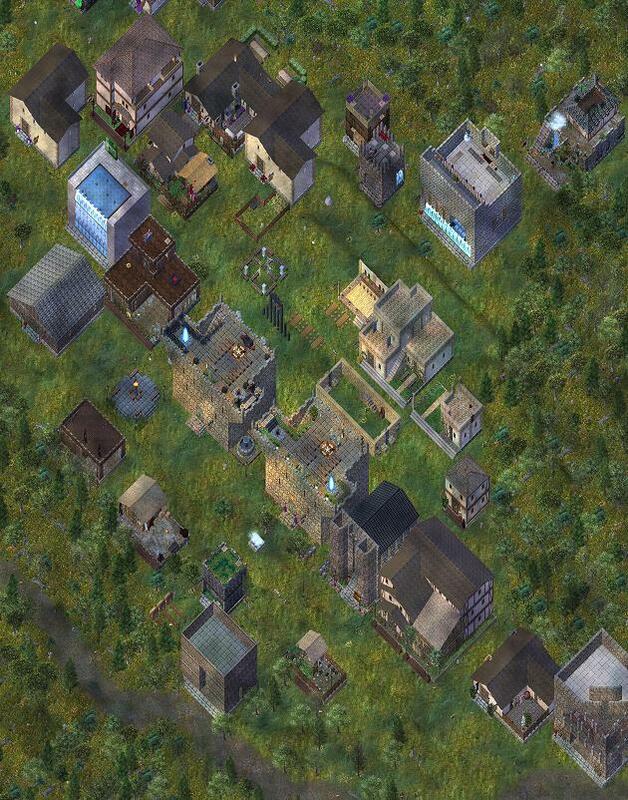 PaxLair City’s (and the Statehood’s) guiding tenets are peace, neutrality, and [Role-playing]. As the PaxLair Statehood capital, the central meadow area surrounding the Twin Towers is neutral territory. The meadow to the East tends to be a conflict zone particularly near the Orc Fort. PaxLair’s seaport is to the west where fishermen, merchants, pirates, and battleships might be found.